Are you sick of the traditional holiday season? Sick of expressing yourself through itchy, tacky holiday sweaters? Need relief from the relentless commercial tide of the holiday music? 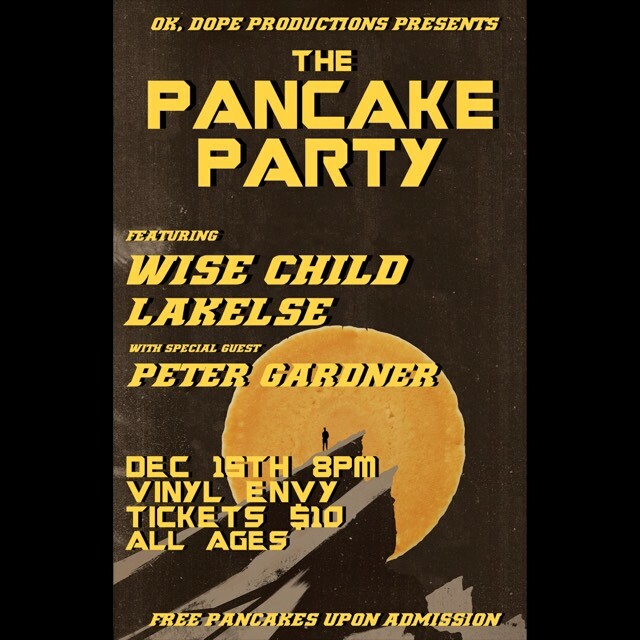 If so, then OK, DOPE Productions The Pancake Party is the perfect event for you! 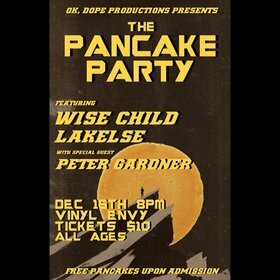 Join Wise Child, Lakelse and Peter Gardner (Hawk and Steel/Honey Rose) for a night of music and free pancakes among the wax at Victoria's one and only Vinyl Envy.